Sri Lanka has failed to show progress on the 2018 Corruption Perceptions Index (CPI), compiled by Transparency International (TI), the global coalition against corruption, Transparency International Sri Lanka (TISL) stated. Issuing a release the TISL said, Sri Lanka has scored 38 on the CPI 2018 retaining the same score from 2017; on a scale of 0 (highly corrupt) to 100 (very clean) and Sri Lanka is ranked 89th in the world and 3rd in South Asia, behind Bhutan (25th) and India (78th). The CPI performance of Sri Lanka underscores its stagnant anti-corruption environment, which has seen the country’s CPI score fluctuate between 36 and 38 since 2013, despite the anti-corruption mandate provided to the government, the TISL said. 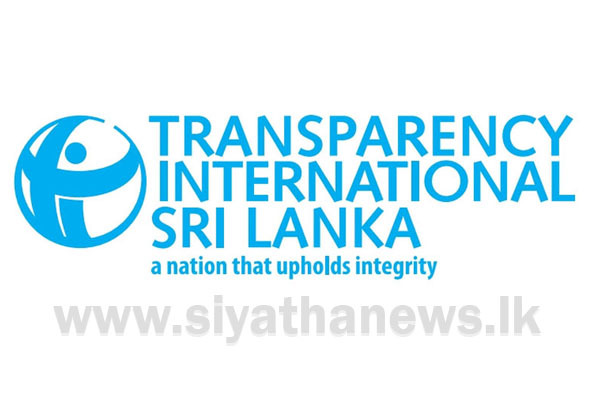 Speaking on Sri Lanka’s performance on the CPI 2018, Transparency International Sri Lanka’s Executive Director Asoka Obeyesekere has said, “It is important to note that the CPI deals with perceived levels of public sector corruption and as such the existence of a legislative framework, without the will or operational ability to ensure timely justice, reflects on Sri Lanka’s clear lack of progress to date. However, with the likely conclusion of several high-profile corruption cases in 2019, it is essential that all authorities uphold their impartiality and independence. If the application of the law is interpreted as selective or politically motivated, it could prove detrimental to the anti-corruption drive and the justice system”. The TISL says, Transparency International has noted that a cross-analysis with global democracy data reveals a link between corruption and the health of democracies and full democracies score an average of 75 on the CPI; flawed democracies score an average of 49; hybrid regimes – which show elements of autocratic tendencies – score 35; autocratic regimes perform worst, with an average score of just 30 on the CPI. Sri Lanka’s CPI score suggests that it falls between a flawed democracy and a hybrid regime, the TISL added. – Support free and independent media and ensure the safety of journalists and their ability to work without intimidation or harassment. The TISL release said 2018 CPI is computed using 13 surveys and expert assessments to measure public sector corruption in 180 countries and territories. Denmark and New Zealand are ranked 1st and 2nd respectively with scores of 88 and 87, with Somalia coming in last at 180th with a score of 10, the TISL added.